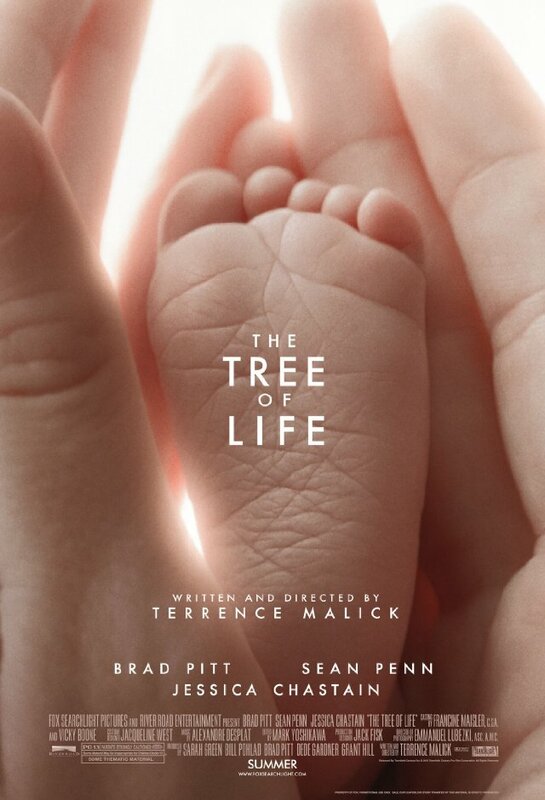 Terrence Malick’s The Tree of Life washes over you like the ocean it portrays. Unlike much of the current garrison of American movies, it doesn’t feel the need to explain itself. Hefty, almost choking gobs of exposition are not present as they were in, say, the much touted Inception. Nor is this minimalism pretentious, as it may feel during a viewing of a wistful, art house film that mistakes a lack of plot for clever artistic license. The Tree of Life has a plot. That it takes its time getting there and works itself out as much in the viewer’s mind as it does in the narrative shouldn’t be confused for being obtuse. It is not. It is, in fact, a very simple film. It can be certainly be more challenging to review a good film, or a great film, and The Tree of Life courts the category of the latter. To review a bad film is easy. Spoilers are admissible, because you’re warning people to avoid the fare. For the most part, too, a bad film has a universal property: somehow we’re all programmed to recognize the smell of doodie. With a good film, the appreciation can be more personal. First, though, there are some universally recognizable traits: Within moments of Tree’s opening, you know you are in good hands. And after it unspools for the first few minutes, you realize that it is not another film which rides the conveyor belt through several “punched up” moments – it’s a film where each moment is going to mean something, each moment is going to count; each time and place in the picture is where you want to be. When reviewers note that a film is “stunning,” here it holds true. Malick even ventures, frugally, into computer imaging territory, and the effects are seamless. I wish I could tell you where the spots of CGI are so expertly placed, but this is a review of a good film, and not supposed to share stories out of school. What I can say is that the typical bridge between Act I and Act II, called “plot point one” is used in a way few films have ever dared attempt. Rather than a glib “twist of the action” to push us into the second act, Malick forges a novel approach. The endeavor brings to mind other maverick filmmakers and their rule-bending successes, like Paul Thomas Anderson beginning There Will Be Blood with a meditative, dialog-free first ten minutes (which is utterly engrossing when, according to the experts, it’s exactly what you’re not supposed to do). Rather than merely “turn” the action for us, Malick draws us deeper. He allows the medium to approach something which transcends it, and something which film is capable of doing, but rarely ever does; provide an almost religious experience. 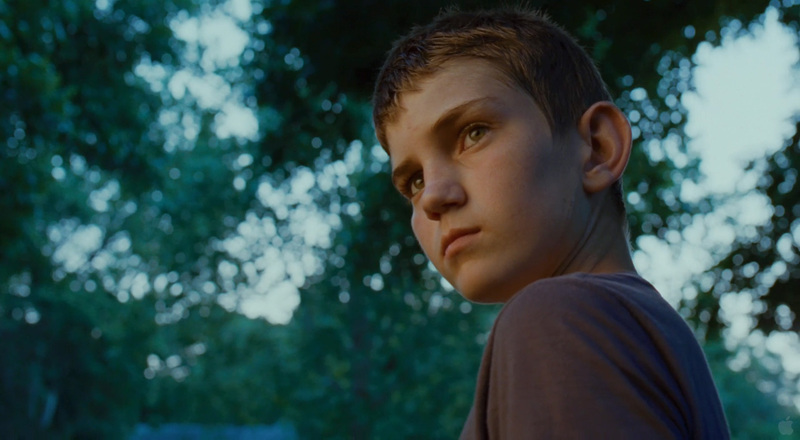 Malick grants the audience the gift of their own intelligence and insight. Events are often suggested with an economic visual poetry, i.e., the mother wears a nice outfit with bright lipstick in a single shot, meaning that times are good, that she is going out for dinner, perhaps, with the father. Major events are often provided for as subtly; an aquatic creature with a long tail and small arms and legs represents the leap from water to land in evolution. In Tree, you hear the character’s thoughts, often with more than one layer. These are the strata of consciousness. Sometimes, yes, whispering voice-overs can be a bit of an eye-roller, but here, with a little concentration on the sentiment they convey, and how it connects to your own life, your own grasp for meaning, they resonate. It’s amazing how may “magic hour” shots there are in the film – whole scenes. 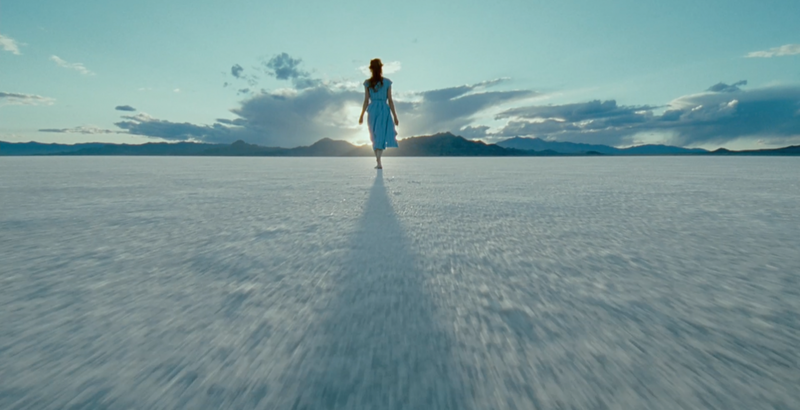 It’s been said that Malick prefers that low, side light of the setting sun to any other aesthetic. Here there is no shortage – sunsets abound, light cascades behind a subject forming a corona, and also white curtains billow, figures twirl and gesture with their hands, evoking sails, or fish. The characters in Malick’s film have an equal share with the pictorial storytelling and the soundscapes which form the body of the piece. The Texan family depicted doesn’t come more to the surface than a creature just beneath the surface of the water. We are invited in, to their homes, to their pain, even into their thoughts, and yet we somehow exist there in shared space with them. There is no overpowering of the actors or the story of their characters, and Brad Pitt and Jessica Chastain (likely under Malick’s judicious direction) are there-but-not-there, windows for us to look through, to see something more, or to perhaps mirror back to ourselves. And actor Hunter McCracken looks so eerily like a young Jim Caviezel, I had to wonder for a moment if there was some connection between The Tree of Life and Malick’s 1998 The Thin Red Line that was intentional. After Days of Heaven in 1978, the writer-director took a 20 year hiatus from filmmaking. The Thin Red Line was his two-decades-later follow up, and was an emotional, poetic powerhouse. 2005’s The New World may have missed the mark, but The Tree of Life delivers exactly what it feels like Malick is capable of – reaching out for the most expansive and the most intimate concepts, and combining them into one film with the balance of restraint and alacrity that one imagines marks the true seasoned artist. This entry was posted in movies and tagged malick movie review, tree chastain, tree dvd review, tree mccracken, tree movie review, tree pitt. Bookmark the permalink.